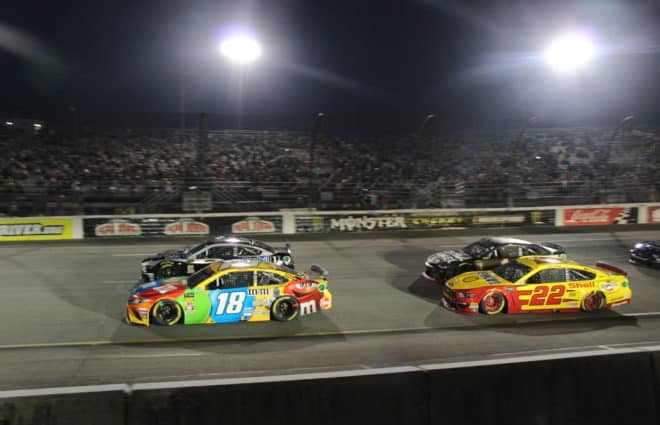 It’s summertime, which means the NASCAR Camping World Truck Series will occasionally split from the Monster Energy NASCAR Cup Series and run some races on its own here and there. 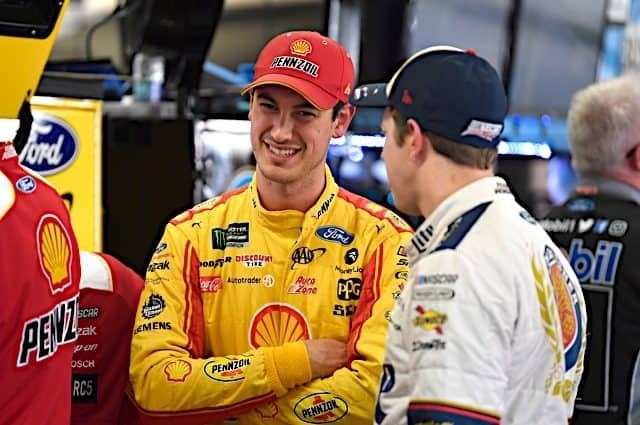 The third-tier series’ latest Cup-less edition comes this weekend at Gateway Motorsports Park, and as expected, the race’s entry list is full of some interesting names. 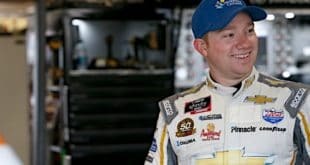 And we’re not just talking someone like Chad Finley, who’s family-owned team is making its first foray into the Truck Series (it’s usually an ARCA Racing Series competitor) with its No. 42, or Kyle and Kevin Donahue, the Missouri-based brothers for whom Gateway is a bit of a home track. 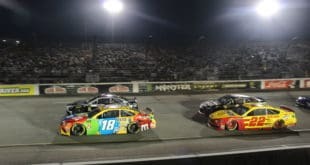 With the abundance of open rides and lack of potential Cup or XFINITY Series regulars to fill seats (not that that’s been happening a whole lot in 2018), coupled with Gateway’s diminutive size (1.25 miles long) that attracts racers uninterested in the cookie cutters that dot the schedule otherwise, a few drivers will be making their series debuts this weekend. Barring any entry list changes, four drivers will make their maiden Truck Series appearances Saturday night (June 23), as all four are in rides that should in theory grant them at least a provisional should they fail to qualify on speed. They range from ARCA standouts to the son of a former part-time NASCAR national series competitor, a name diehard fans may recognize. He failed to qualify for what would have been his series debut last weekend at Iowa Speedway, but Bryant Barnhill isn’t giving up that easily. The Conway, S.C. native is back in the saddle again at Gateway a week later, this time in the No. 15 rather than Mike Harmon Racing’s No. 74. The No. 15’s standing in the owner’s points should grant Barnhill, 19, his first Truck start. He also has to his name a K&N Pro Series West start at Iowa last year, finishing 33rd, as well as three CARS Late Model Stock Tour starts, all at Myrtle Beach Speedway. In addition to being a third-generation racer himself, Barnhill has also received coaching in the past from past NASCAR racer Chad McCumbee. Remember the name Fogleman? 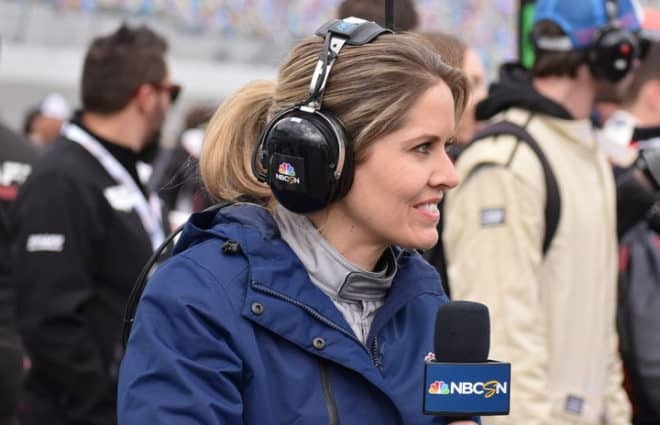 That’s because Jay Fogleman, a short track standout who started 19 XFINITY races between 1989-2000 (finishing in the top 10 twice) and was a longtime mainstay of the X-1R Pro Cup Series, is Tate Fogleman‘s dad. The younger Fogleman will pilot the No. 20 for Young’s Motorsports, the third driver to make his series debut in that truck this year, following Reid Wilson and Tanner Thorson. 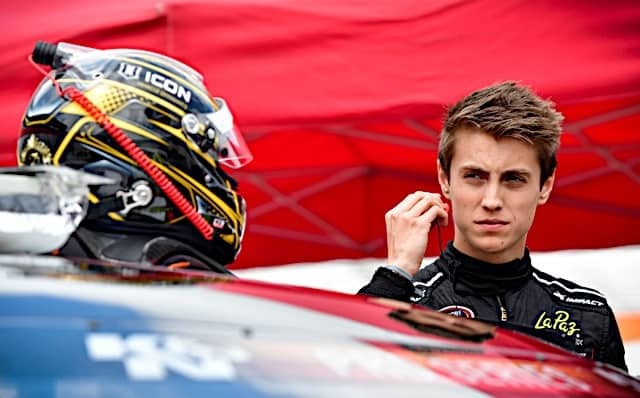 The 18-year-old was the PASS South Super Late Model champion in 2015 and has been competing part-time on the CARS Late Model Stock Tour circuit since 2016, winning once at Hickory Speedway in 2017. If you watched last weekend’s XFINITY race at Iowa (or have been following ARCA since last year), you’re already familiar with Riley Herbst, a Joe Gibbs Racing development driver and member of the latest NASCAR Next class. 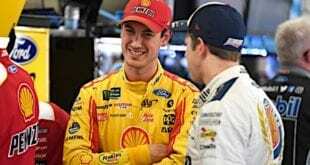 Herbst finished sixth in his XFINITY debut, and now he’s set his sights on the Truck Series, where he’ll drive equally strong equipment with Kyle Busch Motorsports’ No. 51. Herbst, 19, also has an ARCA win to his credit and is currently third in the series point standings for 2018. 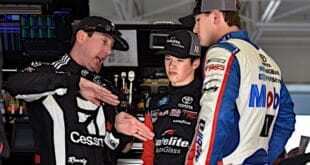 So, Riley Herbst is third in ARCA points right now, yeah? Guess who’s second? Zane Smith, who will make his NASCAR national series debut at Gateway as the driver of DGR-Crosley Racing’s No. 54. 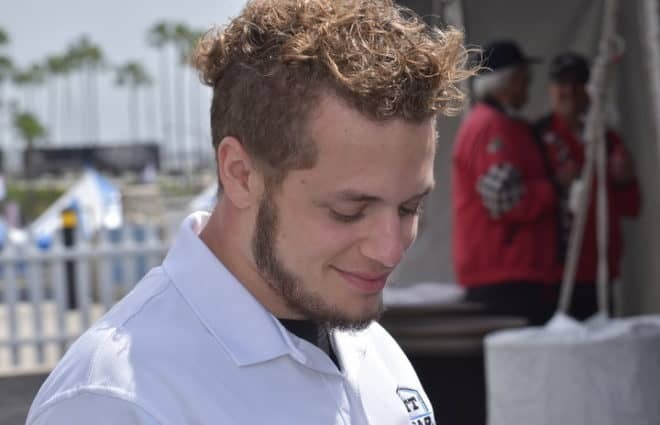 The newly 19-year-old Californian has seemed to be on an upward trajectory toward NASCAR for a while, highlighted by strong showings in the K&N Pro Series as well as three wins in ARCA this year. Like Fogleman and Barnhill, he’s also an alumnus of the CARS series, finishing third in series points in 2015 with one win.